Saturday 30th March 1918: Lieutenant-Commander Robert Francis Crossman, of the Royal Naval Division, the great-nephew of Mr. J.W. Crossman, Chairman of the Bedford Conservative Club, has just returned to England after three years as a prisoner in Germany. He was captured by the Germans at Manbeke in Belgium after the evacuation of Antwerp, suffering from shell shock and an injury to the head. While waiting to have his head dressed he was ill-treated by his captors, and was placed in a camp at Halle “where the food was uneatable and the sanitary arrangements deplorable”; the prisoners were not allowed to smoke for two months, and many of the parcels which came for them from England were taken by the guard. They were moved to a camp at Hugustabad where they were treated comparatively well. In the winter of 1916 he attempted to escape with six other officers. They spent 6½ months digging a tunnel 72 yards long, which went underneath the main road and came up near an ice shed outside the camp. They crawled through the tunnel to freedom, but it was short-lived as they were discovered by a sportsman’s dog while hiding in a wood. The escapees were locked up together in one room for two days, then taken to Gustrow Camp for 14 days solitary confinement. About a week before the escape attempt he had cut the top of one of his fingers, and blood poisoning set in. When he reached Switzerland he had to have his finger amputated. Note: Although the report does not give the reason for Lt-Commander Crossman’s return to England, it is likely that it was as part of an exchange of incapacitated prisoners. 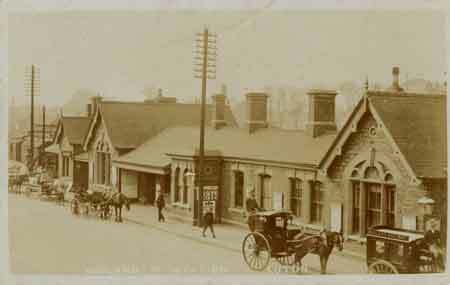 Wednesday 27th March 1918: Stanley Scales, a 35 year old munition worker of 4 Alma Street, Luton, has appeared at the Luton Borough Police Court charged with travelling on the Midland Railway without having paid his fare and with giving a false name and address. He denied the first charge but admitted the second. Mr. Scales had travelled from Harpenden to Luton but only had a ticket for the journey from Luton to Harpenden. Arthur George Miller, a porter at Luton Midland Station said he was on duty on January 29th when the 11.27 train from St. Pancras was due, but the train did not arrive until 2 a.m. due to an air raid. He spotted that the ticket Scales produced was wrong and Scales offered him one shilling. 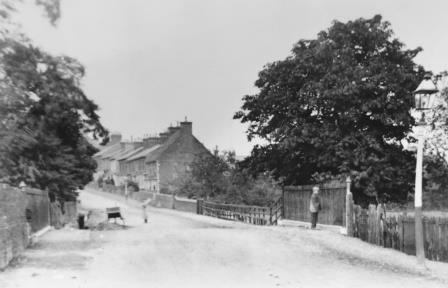 Miller refused and Scales gave him the name H. Brown and a false address. The next day Scales gave him the name Friday and a Collingdon Street address. Scales said this was true and his nickname was “Friday”. 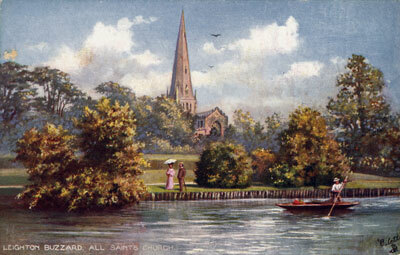 Harry Jayes told the court he was on duty at Harpenden on the the night of the 29th January. Scales was the only passenger and had plenty of time to book but did not attempt to do so. Scales said he had a sleep in Jayes’ room and had mentioned the matter to Jayes; the ticket office was never open. Jayes denied this. Scales also claimed that the air raid being on had unnerved him. He was fined twenty shillings in each case. 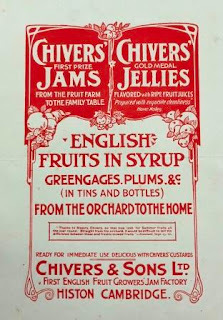 Monday 25th March 1918: The Local Food Office in Linslade, which also covers the Eaton Bray and Wing areas, has received details of a scheme under which sugar for jam will be distributed to fruit growers. Applications for sugar must be made by the growers themselves, and two separate permits will be issued: one for soft fruit available between the 8th June and 31st July, and the other for hard fruit available between 1st August and 30th September. Rhubarb will be included among soft fruits, and vegetable marrows with the hard fruits. The total amount of sugar for making jam for home consumption will not exceed ten pounds for each member of the household. 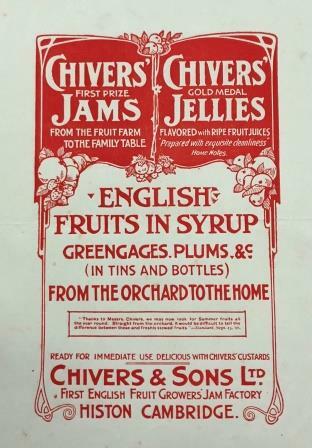 Anyone expecting to have quantities of fruit which would enable them to use more sugar than this will be expected to place jam at the disposal of the Local Food Committee at wholesale prices. Monday 18th March 1918: At today’s meeting of the Luton Rural District Council the Medical Officer reported that during the past month there had been 13 deaths and 17 births in the district. There had been three cases of diphtheria at Kensworth and one case of enteric fever at Limbury. The measles epidemic in Limbury and Caddington was subsiding, but tuberculosis was still increasing, with two more cases. 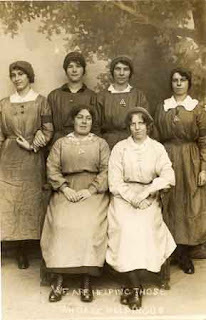 The increase in the number of workers in the Luton area combined with inadequate housing accommodation has led to serious overcrowding and it was feared that the current situation was likely to increase disease; one medical man suggested that half the girl workers would be “crocks” by the time the war ends. 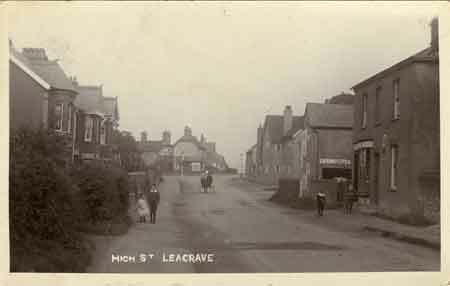 The District Surveyor reported on a case of overcrowding at Leagrave, where three men, nine, women and two children were living in a house with only three bedrooms and a boxroom, which had previously housed a family of four. Nearly all were employed in local works, with some working at night and sleeping in the daytime, allowing double occupation of their beds. After some hesitation due to the lack of alternative accommodation it was eventually decided that the Council would serve a notice on the landlord to end the overcrowding. 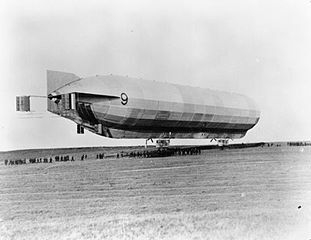 His Majesty’s Airship No.9 is an experimental rigid airship built by Vickers Limited at Barrow-in-Furness. It made its first flight on 27th November 1916 and is currently stationed at Pulham in Norfolk. 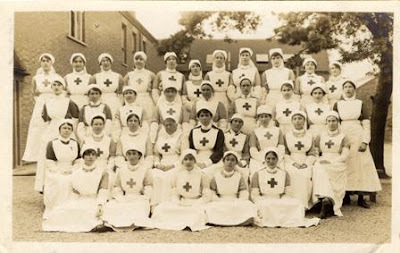 “We want women not only for France, but for Salonika, Malta, and Egypt, and for the nursing of the wounded we want the very best type of woman. It is not essential that she should have a first aid certificate; if she is the right sort she will readily be accepted and trained. The friction that existed to some extent between the trained nurse and the voluntary helper has died, and they are working together today in the happiest spirit. We can place about fifty cooks a week, and the cook of forty-five or fifty is just as welcome as the younger woman. Special cookery courses are provided for members to give them a knowledge of hospital needs. We have 300 V.A.D.s driving transports and ambulances in France, and we should be very glad to get more drivers, only they must have had at least six months’ experience. There is an opening for women as laboratory assistants; we give them the necessary training. Saturday 9th March 1918: Arthur Pollard, one of three sons of Mr. and Mrs. Thomas Pollard of 44 Jubilee Street, Luton fighting with the British Army, has joined the growing number of Luton men who have been promoted from the ranks. 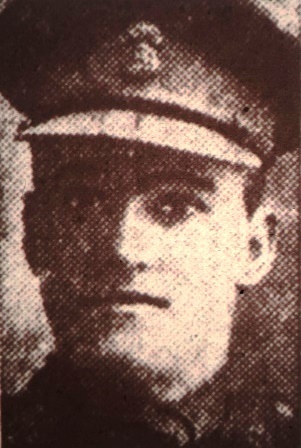 Second Lieutenant Pollard attended St. Matthew’s School before taking a job at the High Town branch of the Luton Industrial Co-operative Society; when he enlisted in 1916 he was first provision hand and secretary to the Co-operative Grocery Employees’ Association. He attested under Lord Derby’s conscription scheme but was rejected as medically unfit. In May 1916 he joined the Royal Field Artillery at Biscot as a volunteer, and was subsequently transferred to the Middlesex Regiment. He was sent to France in September 1916 and rose to the rank of Corporal. Noticing the great interest Corporal Pollard took in his duties his commanding officer recommended him for a commission. After returning home and passing his examinations he was commissioned as a Second Lieutenant on 18th December. In January he was posted to the Northumberland Fusiliers. He has a wife and child living at 177 Hitchin Road, Luton. 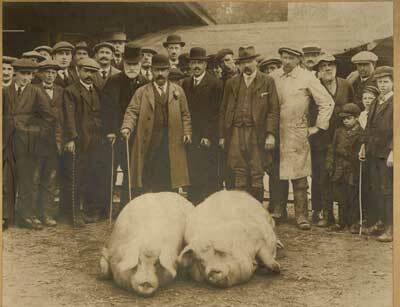 Wednesday 6th March 1918: A case of bacon hoarding has been reported at the Bedford Food Control Committee. A man had called at the office and stated that he had purchased 140lbs of bacon in November and another 40lbs in January. He had been in the habit of purchasing a pig-and-a-half at a time for the past seventeen years. He also had about one hundredweight of potatoes, and at first said he had a sack of flour but then changed his mind. He had been instructed to send in a full return of what food he possessed but had not done so. There were three people in his household. The Committee decided to seize al the bacon except 20lbs, and send it to the two Voluntary Aid Detachment hospitals. The explosion took place at the George Kent works at Chaul End on Friday 1st March. Four girls died of the injuries they received: May Constable, Lillian G. Harris, Kate Tomkins, and Florence Warnes. While more minor incidents were usually reported in the local press in some detail, it seems that the authorities were keen to suppress news of a tragedy on this scale.